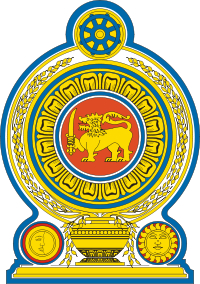 Coat of Arms: The national emblem of Sri Lanka was adopted in 1972. 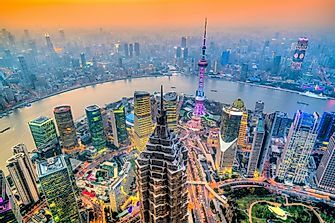 It features a golden lion in the center, surrounded by petals of gold representing the Blue Lotus flower. The base of the emblem is a traditional grain vase sprouting sheaves of rice. 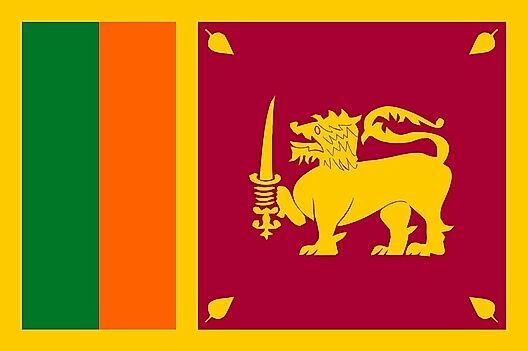 Sinhalese heraldic symbols of the sun and moon flank either side of the vase, and the crest of the Dharmacakra at the top represents Buddhism.